There are so many things to do in Thailand, you could spend a lifetime there and just barely scratch the surface. It is a dream destination for many travelers, and for good reason. The Kingdom of Smiles checks so many boxes that make it an excellent destination for all types of travelers. You’ll find bustling cities, sandy beaches, lush jungles, and ruins of ancient kingdoms. The cuisine is some of the best in the world, and the nightlife is the stuff of legends. Your money goes far here, ensuring a great trip without breaking the bank. The only problem with planning a trip is that there are so many fun things to do in Thailand. 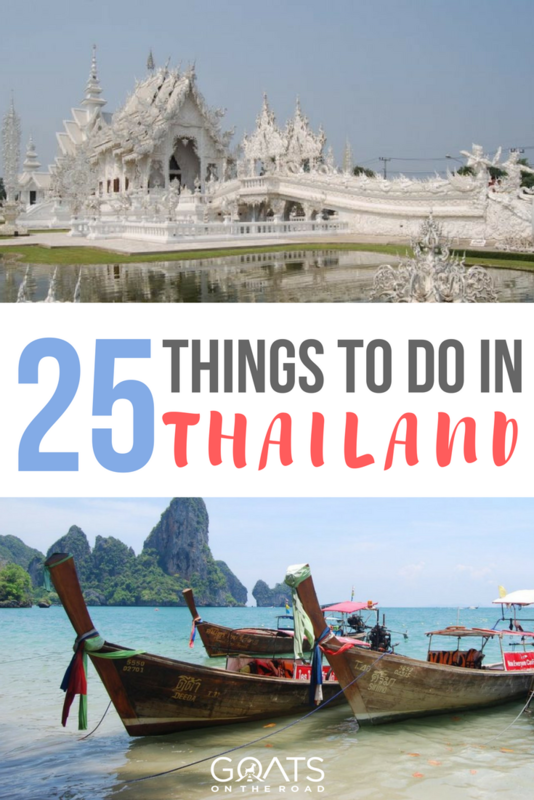 To make your life a bit easier and to show you just how incredible a country it is, here are 25 cool things to do in Thailand. Let’s start out with the most sacred site in the entire country. Wat Phra Kaew, also known as the Temple of the Emerald Buddha, is the grandest and most important temple in Thailand. It’s believed that the Emerald Buddha was found after lightning struck a temple in Chiang Rai way back in 1434. The sacred figurine had quite the journey over the centuries, eventually ending up in the newly constructed temple in Bangkok in 1784. Only the King of Thailand can touch the image, and he does so three times a year during important ceremonies. The stunning Temple of the Emerald Buddha in Bangkok. In addition to Wat Phra Kaew, you should also be sure to check out Wat Pho (Temple of the Reclining Buddha) and Wat Arun (Temple of the Dawn). It’s easy to visit all three in one busy day if you’re motivated. Take a lunch break down by the Chao Phraya River to break it up in the middle, and then relax in the large Sanam Luang park when you’re all finished. 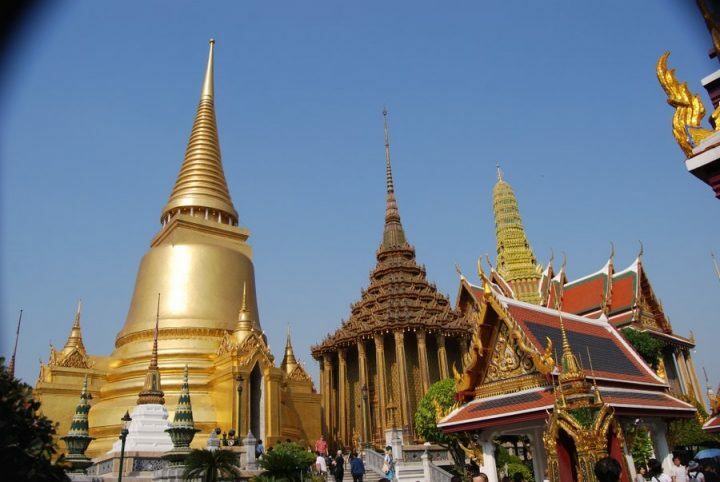 Visiting temples is one of the top things to do in Bangkok, and Thailand as a whole. If it’s an adventure that you seek, head to the north and rent some wheels to tackle this famed loop. It’s said that there are 1,864 curves in the road that takes you from Chiang Mai through a few other towns and back, but you’ll probably lose track trying to count them. 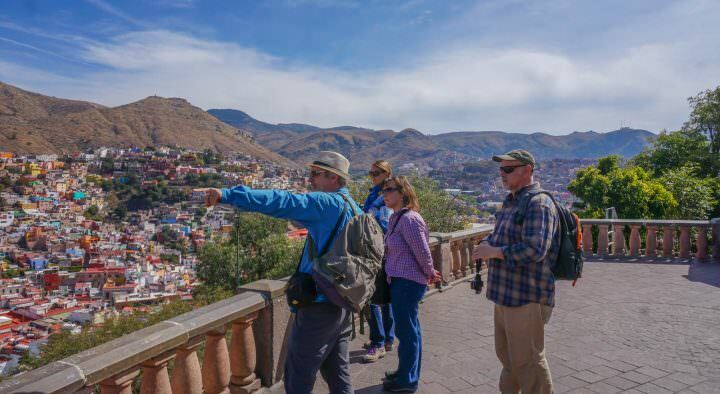 Along the way, you can stop off in a national park and scenic small towns for hiking, hot springs, caves, and so much more. It’s possible to travel the MHS loop by public transport, but just be ready for locals who can’t handle the many curves to be constantly losing their lunch. You’re much better off riding your own bike, as intimidating as the roads may be. Bikes and maps are readily available in Chiang Mai, making this one of the top things to do in Chiang Mai, and Thailand as a whole. 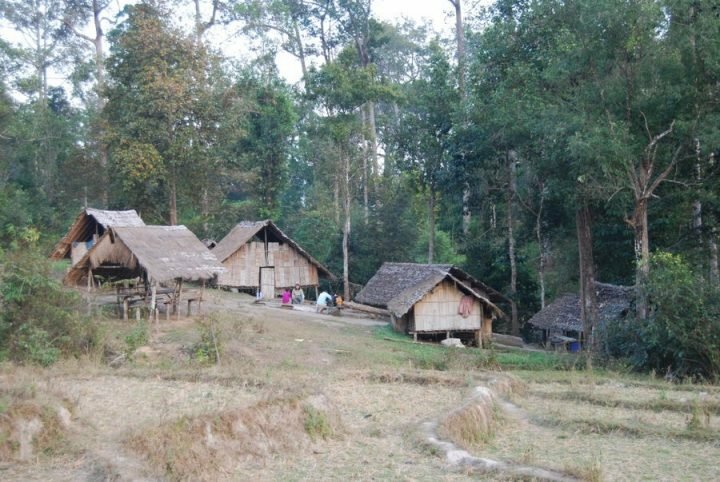 The Mae Hong Son Loop is an epic adventure. Learn more about it in our full guide here. You’ve probably heard of the Full Moon Party that goes down every month, but that’s not the only shindig on this Thai island. In addition to the monthly lunacy of Full Moon, there’s also the Jungle Experience. It’s a much smaller, chilled out affair, but it’s tons of fun. Where else will you watch a DJ spin out of a neon-lit cheetah head? Checking out a Full Moon Party is definitely one of the top things to do in Koh Phangan. The island also hosts half and new moon gatherings and a waterfall party, so if you stay for a few days you’ll probably catch one. Of course, you’ll also find a wide range of bars around the island for those nights when a party isn’t going on. If you’re not into partying, Koh Phangan is still one of the best places to visit in Thailand, as it has some stunning nature and gorgeous beaches. Bonus: Nearby Ko Phi Phi is also a loverly place to check out. While it’s become quite busy with tourists, once you see the stunning beach that was the set for the box office hit The Beach, you’ll understand why. For reasons on why Ko Phi Phi might be a good stop over from Ko Phangan, check out this post by Intro Travel. While traveling in the north, you’ve got plenty of options for great multi-day treks into the jungle. On a 3-day trip out of Chiang Mai, you can swim in waterfalls, hike to epic temples, sleep in remote villages, and do a bit of cliff diving. Jungle trekking is one of the best things to do in Thailand if you’re looking to get some exercise. Home for the night on a 3-day trek. 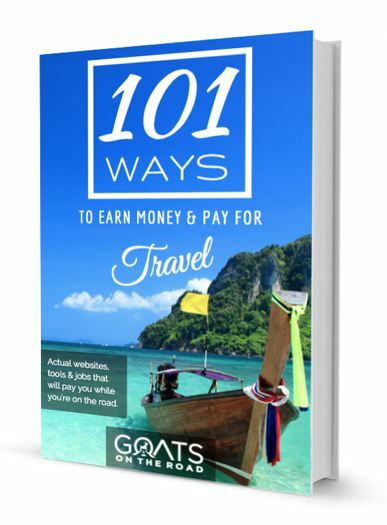 You’ll also learn a lot about the Thai jungle and the plants and animals that call it home. 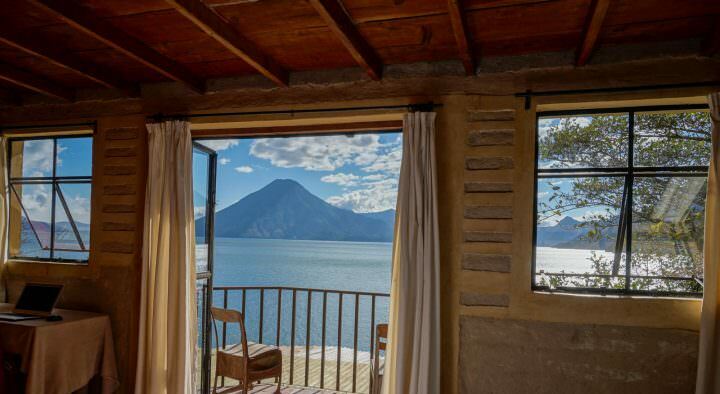 It’s a great break from the busy tourist centers and a chance to disconnect from the modern world for a short while. Heading out in the jungle is one of the top things to do in Chiang Mai for sure. Shopping is one of the top things to do in Thailand. This Bangkok market is the largest in the country and one of the biggest in the world. It’s like being inside the Internet, as you can literally find everything here. There are thousands upon thousands of stalls that are supposedly organized into 27 categories. It’s also quite popular, attracting over 200,000 visitors a day. Wandering around the maze-like structure, you’re sure to get lost. That’s half the fun, though! Bring your camera and your best bargaining skills and you’ll have an awesome time. I personally hate shopping and absolutely love visiting Chatuchak. Whether or not you ride the Mae Hong Son loop, you should definitely pay a visit to the town of Pai. This little hippie town is in a beautiful corner of Thailand with lots to do. You can play in waterfalls, hike in a canyon, and soak in hot springs all within a half-hour motorbike ride. Back in town, there’s an awesome night market, several art galleries, great cafes, and plenty of bars for some fun after dark. Check to see if the monthly art & music party is going on when you visit, it’s tons of fun. Yep, there are numerous fun things to do in Pai! One of the best things to do in Thailand is sample the local cuisine. There’s a reason why Thai food is famous all around the world, and there’s nothing like the real thing. 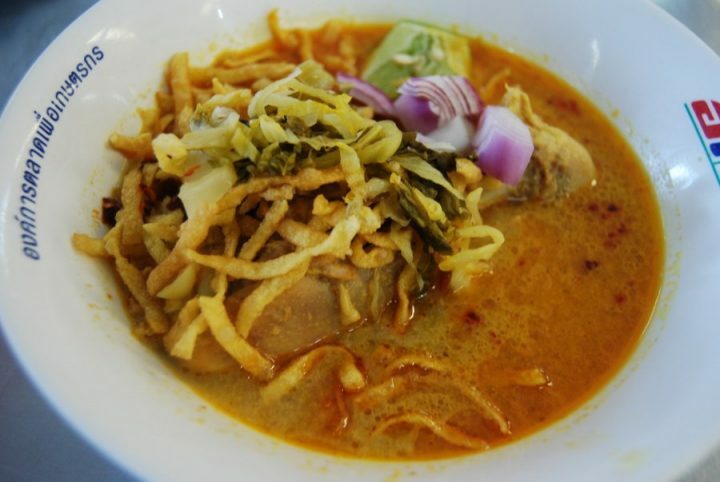 Whether it’s khao soi from a street vendor or a fancy Bangkok restaurant, it’s all mouth-wateringly delicious. For those on a tight budget when backpacking Thailand, don’t worry, the cost of food won’t break the bank. You can find noodle dishes for $1, and at a nicer restaurant, meals can go for $3-$5 a plate. A yummy bowl of khao soi. If you’re not already scuba certified, the island of Koh Tao is one of the best places in the world to get certified. There are tons of dive centers here offering a wide range of courses, and the competition ensures good quality and low prices. Unlike other places where you’ll train in a pool, you can actually get out in the ocean to practice the basics here. After a few days, you’ll have your certificate in hand and be ready to explore the other 70% of the planet. Read this full post for more of the fun things to do in Koh Tao. There are a lot of shows you can see in Thailand. Some of them are classy, while some are anything but. A ladyboy cabaret show falls somewhere in the middle. At the very least, it’s a good time and one of the more unique things to do in Thailand. Plus, it makes for a good story when you get back home. Thai people like to have a good time, plain and simple. If something is not sanuk (fun), then it’s not worth doing. This attitude really shines through during Songkran, the Thai New Year. Joining in the party is hands down one of the best things to do in Thailand. Songkran is a massive party. While the first two days are about visiting family, going to temples, and making merit, the third day is a massive water fight and a raging party. It happens every year from April 13-15, with the biggest celebrations taking place in Bangkok and Chiang Mai. In Thailand, around 95% of the population is Buddhist. To understand the importance of Buddhism in Thai culture, try to be in the country during one of the major Buddhist holidays. There are several throughout the year, so be sure to check the calendar. Join the crowds and head to the biggest temple wherever you are. Thai people are very welcoming and are happy to have you there. Just be sure to dress and act appropriately. No flip-flops and singlets in the temple, folks. The province of Krabi is home to tons of majestic karst mountains. The beach towns of Railay and Tonsai are somewhat of a climbing Mecca, with hundreds of routes to choose from. If you’re a beginner, there are schools where you can train using a wall first. When it comes to choosing where to stay over here, Railay is a bit more upscale and touristy. Tonsai is a backpacker hotspot with plenty of budget accommodation so you can spend more money on enjoying the climbing. Railay is one of the most picturesque areas of Thailand. Check out the 21 top things to do in Railay and start planning your trip. Near the northern city of Chiang Rai, you can visit heaven and hell in a single day. 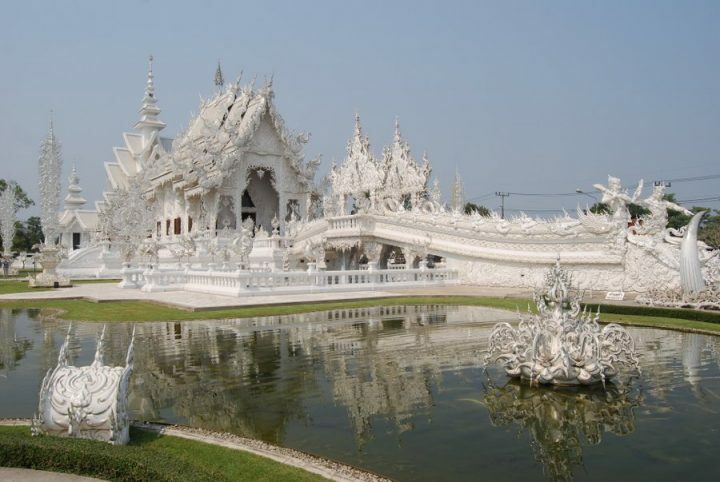 First up is the White Temple, which is the brainchild of a famous Thai artist Chalermchai Kositpipat. There are thousands of temples in Thailand, but none quite like this one. Come here to see how Neo from “The Matrix,” Hello Kitty, and George W. Bush fit into a Buddhist temple. On the other side of town, you’ll find the Black House. Built by another artist (the late Thawan Duchanee), this complex is now a museum of his various collections. We’re not talking about Persian rugs and fine China here. Instead, you’ll see plenty of animal fur, skins, bones, and teeth. It’s creepy, but awesome. There are numerous things to do in Chiang Rai, but visiting these temples is definitely a highlight. Ever wondered what it feels like to have hundreds of tiny fish eat all the dead skin off your feet? You’re in luck, because so-called “fish spas” are plentiful in Thailand. Grab an ice cold Chang beer and enjoy the silly experience. On the one occasion where I tried it, I couldn’t stop laughing the entire time. Martial arts are a big deal in Asia. China has kung-fu, Japan has karate, and Thailand has Muay Thai. This style of kickboxing is Thailand’s national sport, and it has been around for thousands of years. It’s often called the “Science of Eight Limbs” because of the many ways you can attack. There are plenty of places to catch an evening of Muay Thai bouts around the country. You can even join a program to train in Muay Thai if you’re looking to get in the ring. It’s one way to work off all that pad Thai and mango with sticky rice you’ve eaten. If you’re looking for some authentic things to do in Thailand, trying Muay Thai (or watching it) is definitely one of them. Thailand is such a popular destination that it’s hard to imagine there are still places where you can find a totally empty beach. Welcome to Ko Tarutao National Park! This island in the far south was once a prison (crocodiles and sharks ensured prisoners didn’t try to escape), but it’s now a hotspot for adventure. 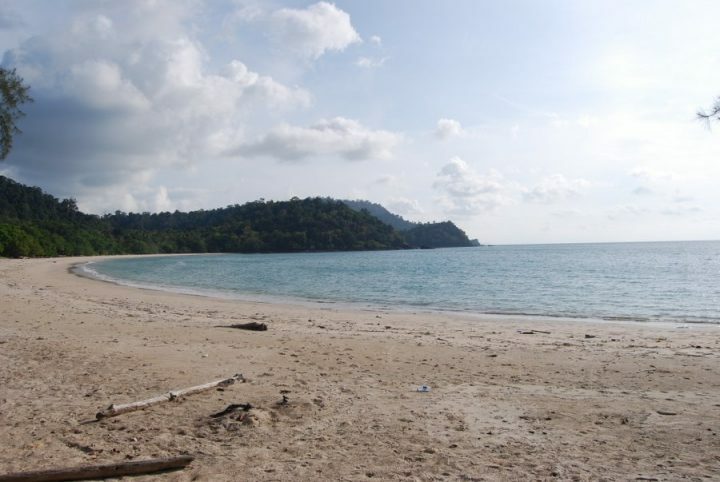 An empty beach… in Thailand?! Spend a few days here cycling, hiking, and spotting wildlife. You can also take a boat ride through the mangroves to explore a cave. It’s the best place to have a Robinson Crusoe-esque trip in Thailand. History and culture buffs should be sure to include a visit to one of Thailand’s two ancient kingdoms on their itinerary. You can choose between Ayutthaya or Sukhothai, or just check out both! Rent a bicycle and spend a day cycling around the ruins of once grand palaces and temples. It’s possible to do Ayutthaya on a day trip from Bangkok, but you’ll probably want to spend at least a night in the area if you choose to visit Sukhothai. 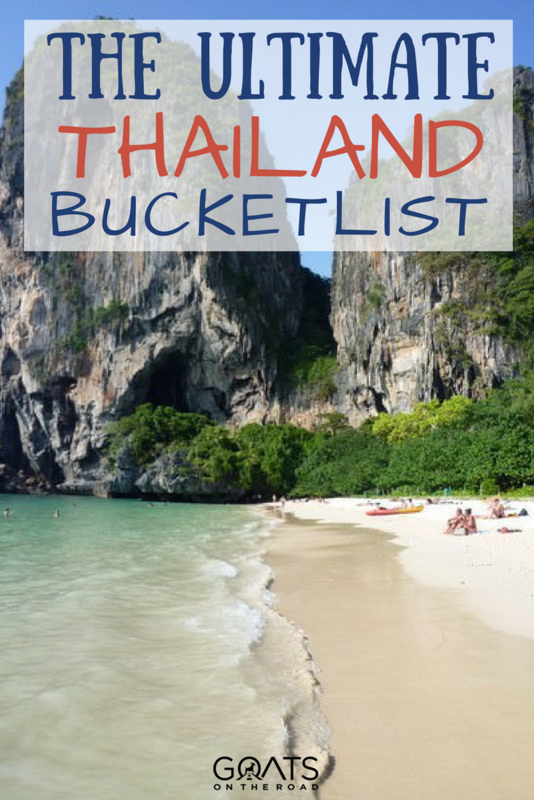 Whichever you choose, this is one of the best things to do in Thailand. For our full guide on the Ayutthaya Historical Park, click here. After eating nothing but delicious, authentic Thai food, it will be hard to go back to your bland old comfort food. Why not take a cooking class and learn how to make classic Thai dishes yourself? In tourist hubs like Phuket and Chiang Mai, you’ve got tons of options for a culinary course. Learn to whip up some papaya salad or Massaman curry and throw a Thai dinner party when you get home. Hostels are great and all, but sometimes you just need to feel like you’re on vacation. Thanks to sites like Airbnb and VRBO, it’s possible to rent your very own luxury villa on the Thai islands for about the same price as a night in a major hotel chain. Grab a bottle of Sangsom rum and a coconut to fix up my personal favorite vacation beverage, a coco-rum-onut. Sit back, relax, and enjoy your own private pool with a good book. Save the dorm rooms for the cities. Elephants are an important part of Thai culture. They even named their most famous beer after them! Enjoy a great day out while helping to protect these magnificent creatures by volunteering at an elephant sanctuary for the day. Unfortunately, many of the tourist focussed elephant camps in Thailand have extremely poor records of animal welfare, and elephant rides and shows are still relatively common. However, by visiting an elephant sanctuary you’ll get to see these beautiful beasts up close while bathing and feeding them, and be lending a helping hand to the preservation efforts at the same time. This is one of the feel good things to do in Thailand for sure. 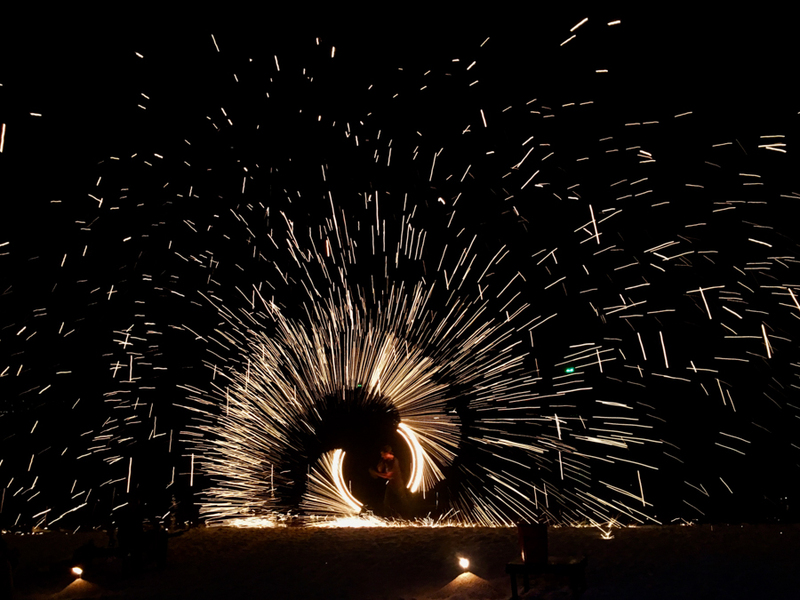 If you’re traveling on a Thai island, chances are you’ll end up at a bar that serves drinks in beach buckets and has a fire-spinning poi show. Sure, it’s a bit cliched at this point, but when in Rome, right? You never know when you’ll catch a poi spinner who absolutely blows your mind, and it’s a fun night out either way. For an action-packed, adrenaline-fueled day, try one of the zipline courses outside of Chiang Mai. You’ll spend a few hours flying through the jungle on various ziplines, walking across sky bridges or abseiling between them. Chances are you’ll also get hilarious guides who show off their fearlessness on the course. No trip to Thailand would be complete without a tuk-tuk ride. 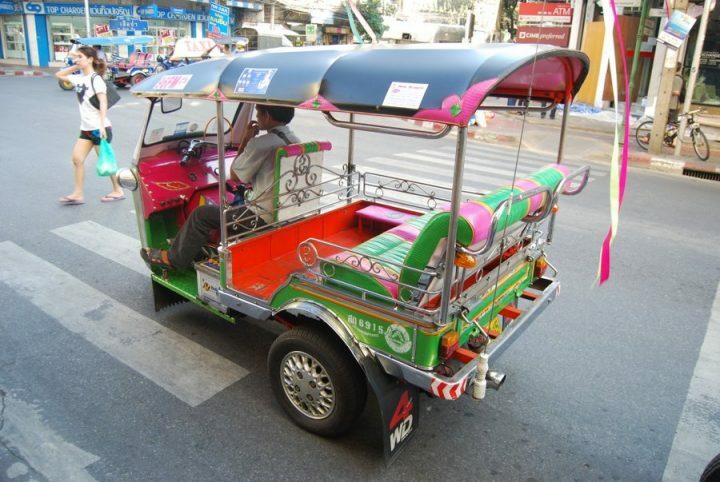 These colorful three-wheeled taxis are ubiquitous in Bangkok, and they make for quite the thrill ride. Be sure to bargain on the fare, and then hold on for dear life as you zip through the city’s intense traffic. Speed across Bangkok in one of these bad boys. It’s also possible to arrange for a tuk-tuk driver to take you on a tour. Hiring one driver for a day or a few hours is a great way to pack a lot of sightseeing into a short time period, and it’s the most uniquely Thai way to travel around. For night owls, there’s no place quite like BKK. Pound cheap drinks with other backpackers on the infamous Khao San Road. Sip craft cocktails on a fancy rooftop. Hang out with expats at the popular Cheap Charlie’s before taking in some live music at Bangkok Beat. Order a beer from an old VW microbus that’s been converted into a bar. The world is your oyster come nightfall in Bangkok. When your Thailand trip comes to a close, why not keep the journey rolling into neighboring Laos? The 2-day slow boat ride along the mighty Mekong River is incredibly scenic and sure beats cramming onto a budget airline. Cruise into Luang Prabang and start a whole new adventure. 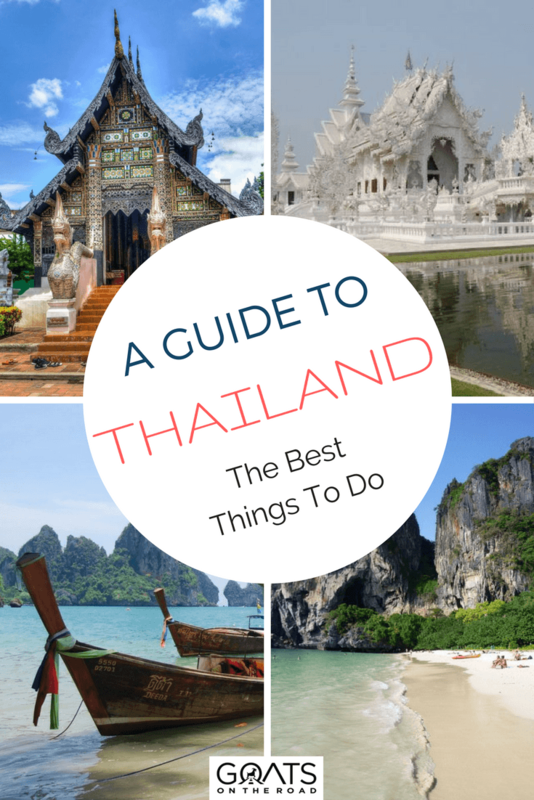 Now You Know The Best Things To Do in Thailand! We’re just getting started with all the incredible things to do in Thailand. There’s so much going on here that you’ll definitely want to maximize your stay. Many nationalities are granted 30 days on arrival, so why not just go ahead and spend an awesome month in Thailand? Chances are you’ll be left wanting more even if you do that, as Thailand is the travel gift that keeps on giving. Great tips! I was in Thailand for Songkran and it was a great experience. 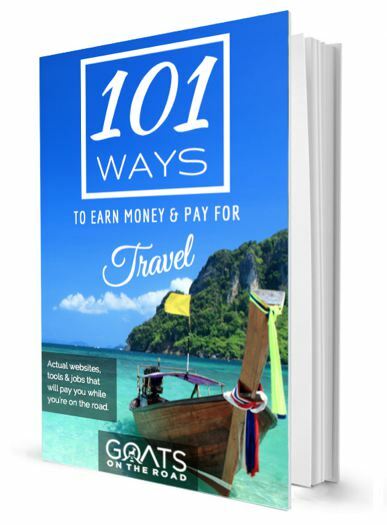 While I have done many of these as a Thailand enthusiast, there’s a few I have yet to check off – thanks for the motivation! Wow, amazing information about Thailand places. It is really helpful for tourists and the lovers of Thai food. 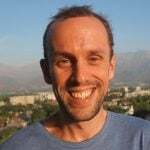 I am also a big foodie and like to eat Thai food very much. Join Thai cooking classes is one of my best things which I always like to do during my vacations in Bangkok. It is the best option to learn something new, experiencing and enjoying Thai cuisine while having fun at the same time. I enjoyed this experience last year when I was in Bangkok with my family. I joined the Thai cooking class at “mythaicooking.com” – one of the best Thai cooking school in Bangkok. I learnt many Thai dishes with the use of natural and pure ingredients. 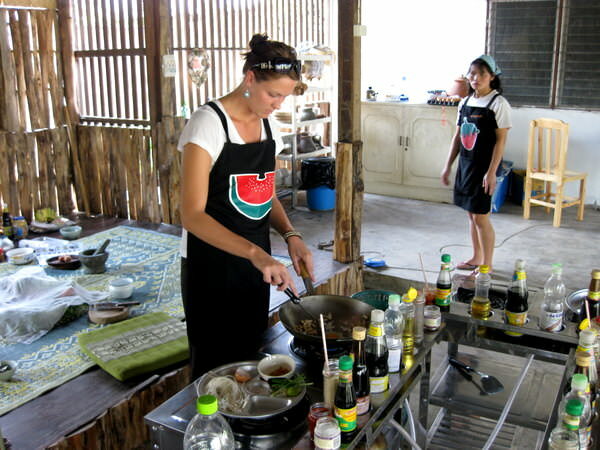 Everyone should take the experience of Thai cooking class for fun and entertainment.